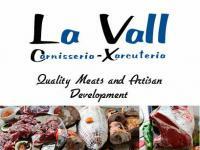 A great local butcher offering quality meats and artisan produce. Choose your cut of meat and have it butchered to your taste, no prepackaged meat here. Frozen home cooked meals are also available. Just one street back from the sea front you will find Be Chic. 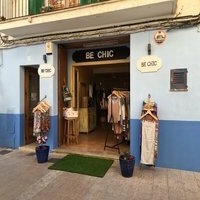 A cute boutique selling clothes and accessories as well as unique pieces of art and designer pieces for the home. Stocking Spanish, Italian and American brands such as "Bohochic Los Angeles", "Mivite", "S12USA", "Rosa Flores", "Miss Miss", "Valuta" (party dresses) and many more. If you are looking for something that's different, this is the place to come. this supermarket (the largest) can be found just after the main roundabout as you enter Puerto Pollensa, on the left-hand side opposite the petrol station. this supermarket can be found in an industrial estate on the Pto Pollensa-Pollensa road on the left-hand side when leaving Pto Pollensa (where restaurant Balaixa used to be) and is useful for those staying in Villas. There is also an online shopping site which is useful to see what can normally be bought. To see it in English, select 'Cambiar Idioma' (change language) & select 'Ingles'. You can 'visit the store' by entering a postcode of '07470'.